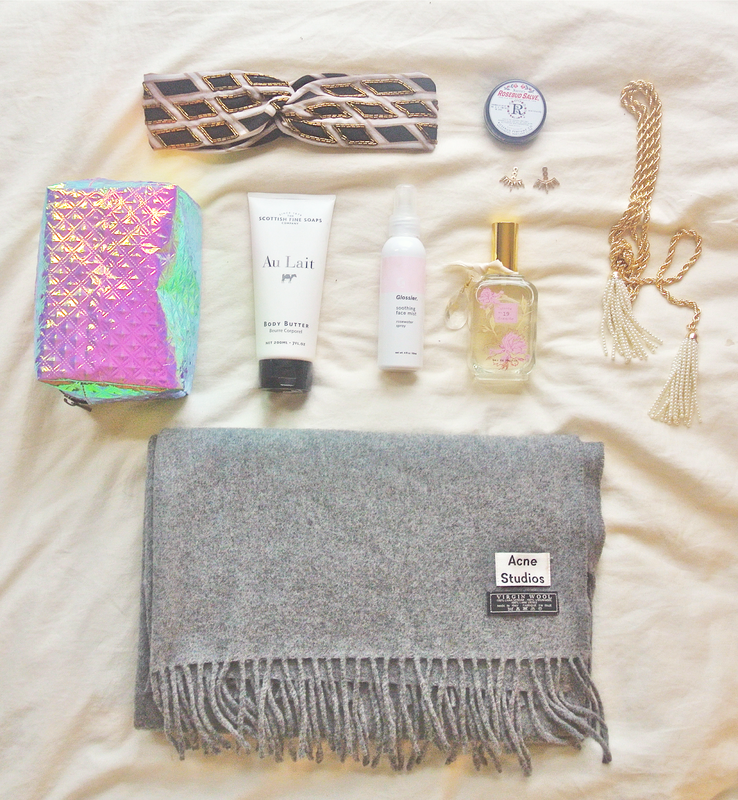 So today, as promised, I have my November Favorites! I've been messing around ALOT with InDesign and Photoshop. I love creating different layouts for this blog. I like putting together images like the one below. I think it gives my blog something different and unique to portray. 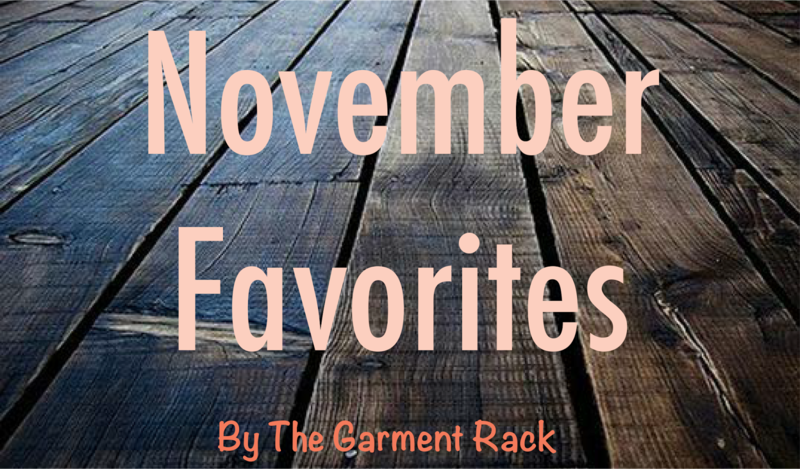 I don't have too many favorites this month, but here is what I rounded up. I have been loving this turban lately! I got it a few weeks ago, and I think it adds a cool vibe to my outfits. It isn't made for keeping heads warm, but it does a great job at doing so! I've also been loving my Rosebud Salve. I've talked about this before, and it's definitely been in previous favorites, but I think it does such a good job at moisturizing and keeping my lips silky all day! I have also been loving Baublebar recently. I have been wearing these ear jackets non-stop and have been loving this tassel necklace to add a girly look to an outfit. I've also been addicted to the Glossier Rose Mist. It seriously is so hydrating and when I'm feeling a little dry, I spray about two pumps onto my face, and all is cured! I've also been loving the Scottish Fine Soaps Au Lait Body Butter (that's a mouthful). I love it's smooth and silky texture and I have been using it like a madwoman because the dry season is upon us. 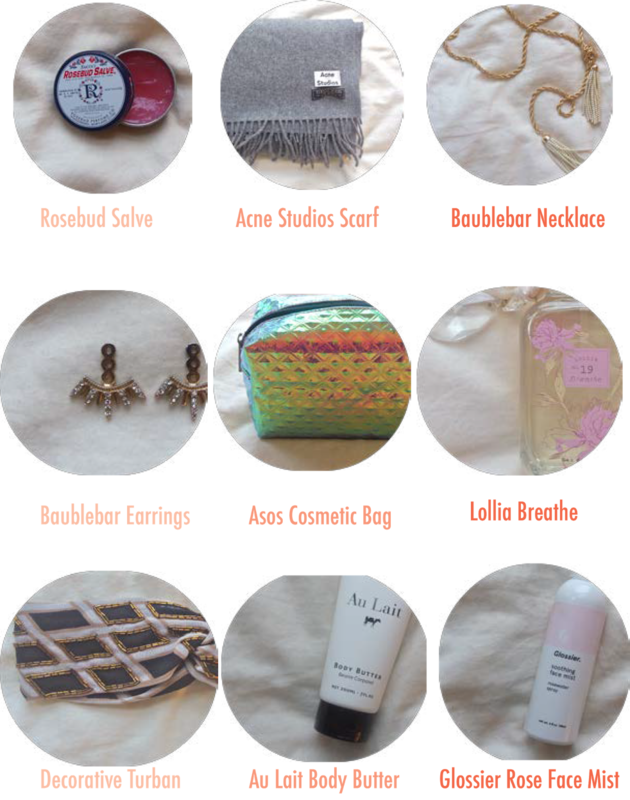 I have also been using the Lollia "Breathe" scent a lot lately. I'm awful at describing scents, but the Lollia website describes Breathe as "a floral heart of ruffled peony and white lily with sheer hints of fresh grapefruit and orange." And for some random favorites, I have seriously not taken off my Acne Studios scarf. I will wear it around my neck, or even as a shawl because it's huge. I love it. My last favorite is this holographic cosmetic case from Asos. It was super cheap, and I love the pretty colors.